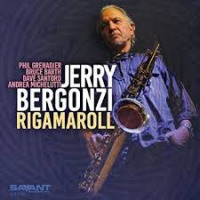 Tenor saxophonist, Jerry Bergonzi, is an internationally recognized jazz performer, composer, author and educator. His music is renowned for its innovation, mastery, and integrity. Relentless drive, inner fire, total command, awesome technique, elastic lyricism, rich resonance, world-class, a musical visionary, are among the rave reviews credited to his sound. Bergonzi's music has been applauded throughout the world at festivals, concert halls, and jazz venues and his dedication to jazz music has been well documented by an extensive discography. Born in Boston, Massachusetts, Bergonzi became interested in music early on. He started playing clarinet when he was eight years old listening to Duke Ellington, Count Basie, and Lester Young. His uncle, who was a jazz musician and lived upstairs, used to write out solos for him to play. At twelve years old he got his first saxophone, an old Conn alto, and a year later when a friend introduced him to Miles, Coltrane, and Sonny Rollins, there was no turning back! At thirteen, Jerry was already playing gigs with a band called The Stardusters. 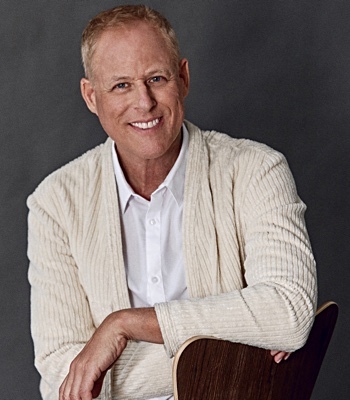 During his high school years he switched to tenor, and in addition to weekly sessions with Berklee College students, Jerry also played in John LaPorta's youth band. He recalls, It was a great experience, I learned so much, John would tell you like it was. He'd let you know what your shortcomings were, he would stop the band to tell you! Bergonzi attended Lowell University but left after one year because he was continually being thrown out of the practice rooms for playing jazz. If I had heard me practicing in one of those cubicles I might have thrown myself out! he adds. He and fellow student, Charlie Banacos, used to begin their day in the practice rooms at 6:00 am. After a year at Berklee College, he returned to Lowell for financial reasons and graduated in 1971. He then played bass in local bands behind singers, strippers, and comedians, saving up enough money to move to New York City in 1972. During 1972 and 1978 Bergonzi lived in New York City and experienced what he considers his real college education. There, where he had a third floor loft and friend and bass player, Rick Kilburn, lived on the first floor, was the scene of many sessions. Often, there was one drummer, one bass player, and five saxophone players! Bergonzi remembers. Sometimes I was the drummer, each guy would tell a friend, everyone was hungry to play and it was great experience. Joe Lovano, Steve Slagle, Billy Drewes, Paul Moen, Pat LaBarbera, Dave Liebman, John Scofield. Mike Brecker, Bob Berg, Tom Harrell, Steve Grossman, and Victor Lewis were a few of the many players who came to play. During this time, Bergonzi gained worldwide recognition while performing with, Two Generations of Brubeck. The group, with Dave Brubeck and his kids, Darius, Chris, and Danny, also featuring Perry Robinson on clarinet and Mad Cat Ruth on harmonica, toured extensively from 1973 through 1975. Carnegie Hall, the Sydney Opera House, London's Royal Festival Hall and Alexander's Palace, Lincoln Center, and the Hollywood Bowl were among the many stages their music was applauded, as well as, at the JVC Newport, New York Kool, North Sea, Monterey, and Nice jazz festivals, to name a few. Returning to Boston at the end of 1977, Bergonzi was gigging five nights a week at the many local venues including Michael's Pub, 1369 Jazz Club, Pooh's Pub, Ryles, and the Sunflower. It was exactly what I needed at that point, says Bergonzi, making a statement on a tune in front of an audience is a lot different than playing a jam session. It was during this period that the innovative group, Con Brio, formed. Including bassist Bruce Gertz, drummers Bob Kaufman and Jeff Williams, pianist Eric Gunnison, and guitarists Mike Stern and Mick Goodrick, the group has played on throughout the years in various incarnations. At that time they recorded six records for their own independent label called Not Fat Records. These recordings featured Bergonzi's talent as a composer. 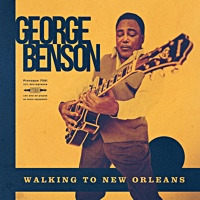 Today he has almost one hundred tunes recorded and registered with ASCAP, his most recent compositions are available in a book and play-along published by Jamey Aebersold and five of his tunes can be found in the pages of Chuck Sher's All-Jazz Real Books. During these years, Bergonzi also played with the dynamic trio called, Gonz, including Gertz and Bob Gullotti on drums. Gonz sometimes became Gargonz when they added the talents of another Boston based saxophonist, George Garzone, as well as, bassist John Lockwood of The Fringe. 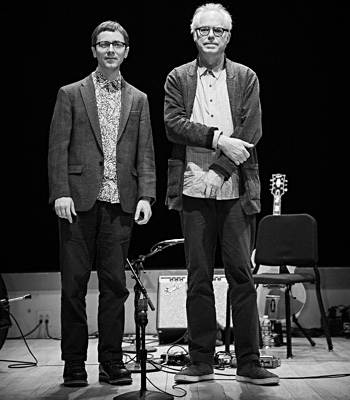 While in the midst of the Boston jazz scene, Jerry received a call from Dave Brubeck asking if he'd again like to join his group in a quartet setting. From 1979 until 1981, Jerry toured the world with the Dave Brubeck Quartet. On the road for about 200 days a year, the group recorded Back Home, Tritonis, and Paper Moon for Concord Records between stops. Bergonzi also began his career as an educator in the early 80's. 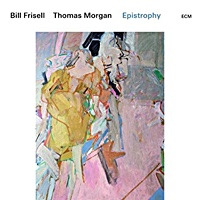 He established his private practice teaching all instruments how to improvise and during those years developed the systems described in his series entitled Inside Improvisation. In this six volume series published by Advance Music, Bergonzi offers a tangible pathway to inside the creative imagination by getting inside the harmony, inside the changes. Today, he is a world renowned educator, a full time professor at New England Conservatory, Bergonzi travels throughout the United States and Europe as a clinician and performer. Some of the many places he has taught include; master classes at Berklee College of Music, North Texas State University, Eastman College, the Paris Conservatory, the Manheim Jazz School, Taller de Musicos in Madrid, S.A.C.A.E. in Adelaide, Australia , and jazz conservatories in Pitea and Haperanda, Sweden, and Oulunkyla, Finland, to name a few. The mid to late 80's brought some changes to Bergonzi's career as work in Boston slowed while work abroad became more plentiful. So too, did the recording industry begin to change. Bergonzi's acclaimed quartet release for Blue Note Records, called Standard Gonz, was among the first of his extensive discography. He later again recorded for Blue Note with pianist Joey Calderazzo on, To Know One and In The Door. While keeping his ties with the many musicians of the Boston and New York jazz scenes, Bergonzi also developed associations abroad yielding many musical collaborations. The Italian label, Red Records, was Bergonzi's greatest supporter. Red Records was the first label that really believed in my music. says Jerry. 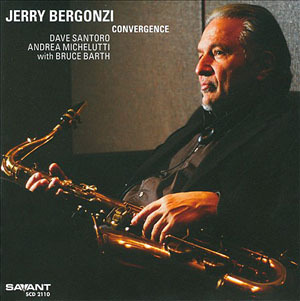 They released four CD's with Bergonzi as the leader, including, Lineage, a live recording featuring Mulgrew Miller, Dave Santoro, and Adam Nussbaum. 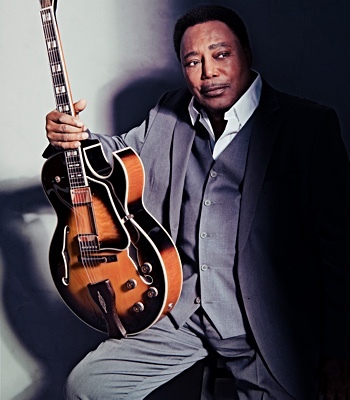 Jerry later played with the Red Record all-stars including Kenny Barron, and Bobby Watson, as well as on a number of other Red releases with Salvatore Tranchini, Fred Hersch, and Alex Riel. He has also performed and recorded with the George Gruntz Big Band, the Gil Evans Orchestra (Miles Davis in Montreaux), and 12 Jazz Visits in Copenhagan for Stunt Records. 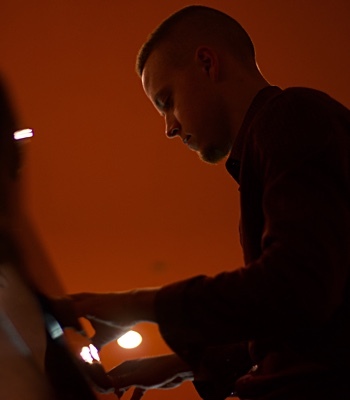 The Riel Deal, on Stunt, featured drummer Alex Riel, Kenny Werner and Jesper Lundgaard, and was awarded a Grammy in Denmark for best jazz recording in 1997. An association with Daniel Humair and the late J.F.Jenny Clark yielded a number of recordings for the French, Label Bleu. One of which was Bergonzi's CD, Global Summit, it featured Tiger Okoshi, Joachim Kuhn, Daniel Humair and Dave Santoro. This was the product of one of three National Endowments awarded Bergonzi. 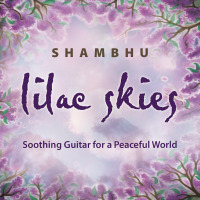 Another project with pianist Kuhn won the accolade Best Jazz Album in France 1992. 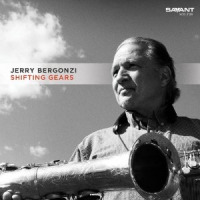 Among the many other artists that Bergonzi has performed and recorded with are; John Abercrombie, Nando Michelin, Antonio Farao, Bill Evans (with the National Jazz Ensemble), Joe D'Orio, Eddie Gomez, Miroslaz Vitous, George Mraz, Billy Hart, Andy Laverne, Steve Swallow, Hal Galper, Roy Haynes, Charlie Mariano, Bob Cranshaw, Ray Drummond, Billy Drummond, Danny Richmond, Danny Gottlieb, Dave Holland, Jack DeJonette, Paul Desmond, Bennie Wallace, Gerry Mulligan, Hal Crook, Herb Pomeroy, Mike Manieri, Mark Johnson, Michel Portal, Marcel Solal, Pat Martino, Franco Ambrosetti, and many more. 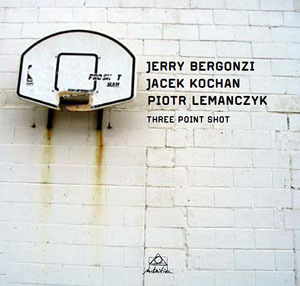 The Double-Time Records label has released most of Bergonzi's recent work. 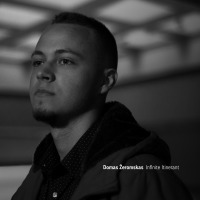 Just Within, Lost in the Shuffle, Wiggy, and A Different Look, were recorded by Bergonzi's burning organ trio, with Dan Wall and Adam Nussbaum. Also on Double-Time, The Dave Santoro Standard recordings feature Bergonzi's swinging tenor along with drummer Tom Melito and pianists Bruce Barth and Renato Chicco. As a band leader, Bergonzi has performed worldwide at the Red Sea, San Remo, Moomba, and North Sea Jazz festivals, to name a few. He has appeared at the World Saxophone Congress in Montreal, Canada and Valencia, Spain with fellow saxophonist Philippe Geiss. Bergonzi's performance at the Subway in Cologne has been featured on the German TV series, Round Midnight. His quartet performs at Duc de Lombarde in Paris, the Fasching in Stockholm, the Jazz House in Copenhagan, and the Bird's Eye in Basel, and many others. Today, Bergonzi makes his home in Boston area with his wife and two children. He continues to teach and perform worldwide. He endorses Selmer Saxophones, Rico Reeds and Zildjian Cymbals. All About Jazz musician pages are maintained by musicians, publicists and trusted members like you. Interested? Tell us why you would like to improve the Jerry Bergonzi musician page.